Here’s an interesting table lamp from Brazilian Designer Fernando Akasaka, The Frankie Table Lamp. This fun skull shaped table lamp features interchangeable LED or Halogen bulbs, which means that you can control the brightness of the eye or bulbs on the skull. 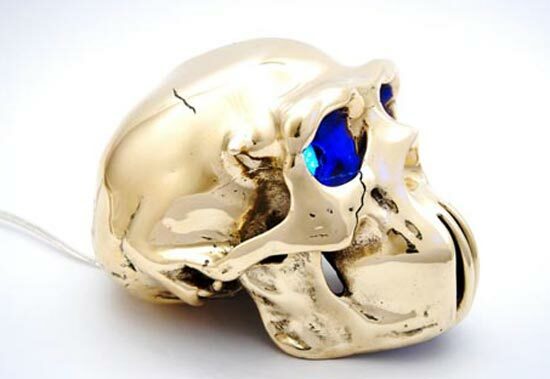 The designer is offering these crazy table lamps in a variety of finishes, including silver plated, gold plated, polished bronze or polished nickel, and no they are not made from real skulls. If you want one you have to contact the designer direct, there is no word on pricing, but you just know it is going to be expensive.